The Hawkesbury Camera Club honours late president Geoff Pfister with a special annual photography competition. 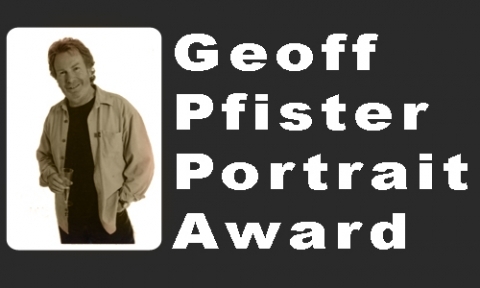 The Geoff Pfister Award is presented to the best black and white or colour portrait taken by a financial member. Geoffrey Pfister attended his first meeting at the Hawkesbury Camera Club many years ago and immediately became a keen and enthusiastic member. He began as one of our B grade members, but quickly rose to A grade. He welcomed the comments and critiques of our visiting judges, but was also heard on many occasions giving his own comments and critiques, in a good natured and humorous manner that only he could deliver. Geoff was instrumental in causing our club to increase the frequency of our meetings from the then first and third Wednesdays of each month to include our “digital” nights on the second Wednesdays and further meetings in those months that had a fifth Wednesday. He also made it well known that a Wednesday night without camera club caused him to suffer withdrawal symptoms. Geoff also taught photography at the Hawkesbury Evening College and through his various contacts greatly bolstered the club’s membership. Such was Geoff’s love for photography and the Hawkesbury Camera Club. We all have our favourite photographic subjects, Geoff’s favourite, far and above all others was photographing other people, be it in a studio environment, in their normal workplace, or just passers by in the street. During his term as club President, Geoff learnt that he had contracted an incurable illness, continued to serve the club, but when he felt it appropriate, he stepped down from office. Geoff’s strength and character shone through with in his participation in club activities as he continued to be an active and keen member, voicing his humorous opinions as always, whenever there was a pause in discussions, right to the very end. Sadly, in early April 2011, Geoff left this life and his family that he cherished, but his memory will live on in the heart of our Hawkesbury Camera Club, through our perpetual Geoff Pfister Portrait Award. Geoff will always be missed, but never forgotten.